That sagelike phrase "strike while the iron is hot" is absolutely bang on when it comes to Alexander Wang’s complimentary denim embroidery service on offer throughout London Fashion Week. For a limited time, if you make a purchase from the Denim x Alexander Wang collection at the Mayfair boutique between certain times, you are able to check in for the free personalised embroidery service. Ignite your imagination because you can get any quick-witted statement under the sun etched into your denim threads, including but not limited to words personal to you (or for those prone to losing items of clothing, why not go for your initials?). 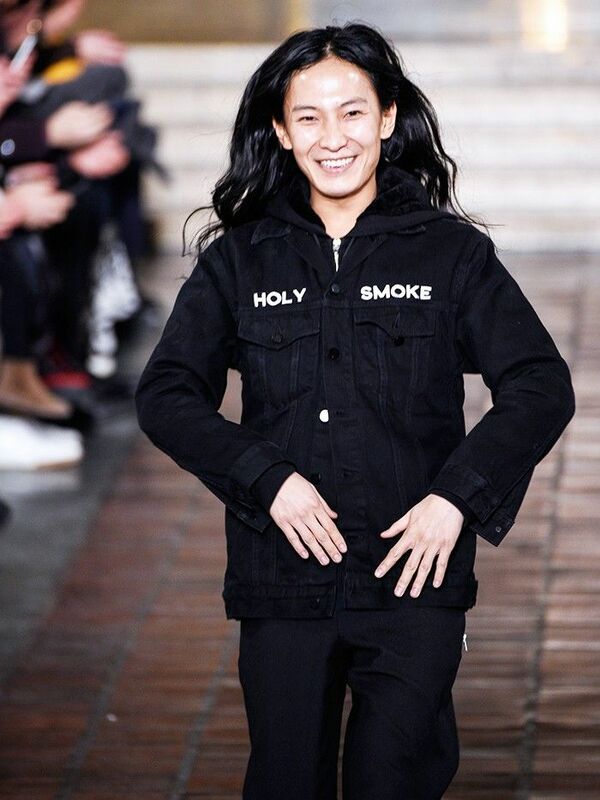 Wang himself wore a jacket saying "Holy Smoke", whereas the catwalk models at the A/W 16 collection had sayings such as "$uck It" deftly placed near an innocent trouser zip. There’s no time to sit on the fence as this offer is only available in the brand’s Mayfair, London boutique between 12–6 p.m. on 19 and 20 of February, and 21 February between 1–5 p.m.; so it’s a case of canceling lunch plans (sorry, girls) to hop, skip and tube it there in time. Head to Alexander Wang London, 43-44 Albemarle Street, Mayfair, London, UK W1S 4JJ super quick! What phrase or word would you like embroidered on your denim threads? Comment below! Plus, if you’re feeling inspired, shop Alexander Wang now.